Hey there, Diabetes Friends! Welcome back to our weekly advice column, Ask D’Mine. I'm your friendly host, Wil Dubois -- a longtime type 1 diagnosed as an adult who happens to write about diabetes and work as a clinical diabetes specialist in New Mexico. 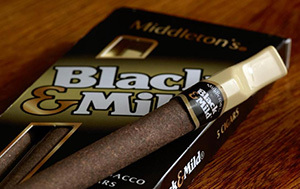 Keeper, type 3 from South Carolina, writes: My brother has type 2 diabetes and he smokes these cigars called Black & Mild. I don’t like them because I think they’re making his blood sugar go up, or his A1C, I don’t know. He’s 48, works every day, and he’s constantly smoking those cigars. Do the cigars make his blood sugar go up? Wil@Ask D’Mine answers: My blood sugar usually goes down when I smoke a cigar, and I hate to bash one of my two favorite unhealthy vices, so I was going to answer you with a simple dismissive “No,” and move on to the next question. But then, in all fairness to you, I decided I’d better look into it. And you may actually be on to something. But let’s be clear that while there’s a ton of research on cigarette smoking, there’s not so much on cigars and pipes. I’m not sure what’s up with that. It could be because throughout modern history, say from 1950 onwards, cigarette smokers vastly outnumbered cigar and pipe smokers. Or it could be that the Centers for Disease Control (CDC) only tracks info on cigarette smoking, so there’s more data to work with there. Or it could be because smoking cigars (or pipes), while not exactly healthy, isn’t actually as dangerous as smoking cigarettes. 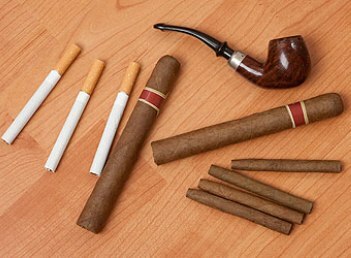 This is because while cigarette smoke is inhaled directly into the lungs, a cigar or pipe is “puffed,” with the smoke entering only the mouth, then blown out again. On top of all of that, most of the research on smoking deals with its globally evil effects on the human body. Cancers and cardiovascular disease mainly, not so much blood sugar control. And what little research we have on blood sugar and cigarettes has focused on smoking as a possible contributing factor in developing diabetes in the first place, rather than on controlling blood sugar in existing diabetes. Ironically, while smoking cigarettes does appear to be linked to an increased risk of developing type 2 diabetes, quitting might be the slam-dunk that makes you join our party. The peak risk period for developing diabetes is actually two years after quitting—likely due to the weight gain commonly seen after kicking the habit. All of that said, however, there is emerging research linking nicotine to insulin resistance, and this is where things get interesting. Because it’s not just cigarettes. Check out this study, which found that long-term use of nicotine gum is connected to increased insulin resistance! So much for chew ‘em if you got ‘em. I guess if the nicotine in in nic gum can raise your insulin resistance, and therefore possibly your blood sugar, so too could the nicotine in the generally safer cigars or pipes. So I have to concede that there’s a link between smoking any kind of tobacco and increased insulin resistance. And it sure looks like nicotine, pardon the expression, is the smoking gun among the 4,000 or so chemicals generated by a cigarette. But could smoking actually raise A1C? I laughed at the notion when I fist read your email, but damned if I didn’t find evidence that it could be possible. California Polytechnic professor Dr. Xiao-Chuan Liu exposed samples of human blood to nicotine and then tested the A1C of the samples. I was unable to locate the original study, but a according to numerous reports, the more nic the blood was exposed to, the higher the A1C. Apparently, Liu added equal amounts of sugar and variable amounts of nicotine to vials of blood and tested the A1C. His smallest nic sample raised the A1C to 8.8. His largest to 34.5%. But there are problems here. He tested the blood after only a day or two, and the A1C test is intended to be a look at a three-month window; and it’s generally accepted that a sugar spike right before the test has no effect on the result, so I’m a bit skeptical about testing A1C so soon after a quick glucose exposure. I also have no idea how his nic samples compared to the levels a real smoker gets, and of course this is all in test tubes, so who knows if it translates to the human body? And I also don’t know how the nic load from a cigar compares to that of a cigarette. But it is disturbing that jacking up the nic levels seems to have some sort of effect on the way blood cells react to sugar. In fact, the news has me so stressed that I need to step outside and smoke a cigar. That always brings my sugar back down. So, to answer your question: It appears possible that smoking cigars all day long could raise your brother’s blood sugar and A1C. By the way, you might want to check out this thread of people comparing their real-world experiences with diabetes and cigars. But the bottom line here is that in most cases there’s no one single smoking gun—or smoking cigar—that is the root of all blood sugar evils. Once you have diabetes, any frickin' thing can and will raise your blood sugar: food, stress, overwork, infection, lack of sleep, insufficient medicine, medicines we take for other conditions, and more. Another thing to consider when weighing how big an impact smoking has on either causing diabetes or making it harder to control, is the fact that while smoking is on the decline, diabetes is on the rise. If nicotine were a big player in diabetes, the diabetes rate should be dropping. Smoking recently hit an all-time low in our country. Meanwhile diabetes is at an all-time high. In regard to smoking, about 17% of us still smoke, down from a whopping 42.4% in 1965. Who smokes? More men than women. Kentuckians smoke the most, Utah citizens the least. Peak smoking age is between 25-44 years old. Native Americans really, really, really like to smoke. Hispanics are close behind. Asians are the smallest smoking demographic in the country. As educational levels go up, the smoking rates tend to go down. The poorer you are, the more likely you are to smoke. And people with flexible notions of sexual orientation smoke at a much greater rate than heterosexual people. But I digress. Back to diabetes. The key to diabetes control is achieving a Zen-like balance among all the things in your life that raise your blood sugar and the medicines you take to contain it. Simply quitting one of the myriad things that drive sugar upward is unlikely to instantly fix the problem. Still, you are right to worry about your brother. If his sugar is up, all manner of bad things will happen to him long before the cigars have the opportunity to kill him. You say that your brother is middle-aged and works every day. Bummer. On the working all the time. There’s nothing wrong with being middle-aged. So what are his joys? Does he have a healthy hobby? Or an alternate unhealthy hobby for that matter? In my view, if the cigars are his main joy, taking them away doesn’t leave him with much. In fact, the stress of quitting might make his blood sugar worse. Then he’ll put on weight and his sugar will get still worse. I’m sure the purists will disagree with me, but my opinion is that the best option is to simply medicate the effect of the cigars (if there is one) so that the diabetes, both the day-to-day blood sugars and the A1C, are controlled. And let the man smoke in peace.